Wood is one of the construction industry’s oldest materials. Yet it is making waves with cutting-edge methods and technologies, and aspirational projects around the globe. The Materials for Architecture 2018 conference programme will showcase recent advances made in the use of timber and wood-derived products. Kevin Flanagan, partner at PLP Architecture, will speak alongside Dr Mark Ramage, senior lecturer at the University of Cambridge’s Centre for Natural Material Innovation, on the concept for a 300 metre-high timber tower for London’s Barbican - Oakwood Tower. Patrick Usborne, associate at dRMM, will discuss the use of hardwood cross-laminated timber (CLT) and engineered timber in dRMM’s multi award-winning project - Maggie’s Oldham. As part of the CPD agenda our 45- minutes seminar will deliver practical insight into engineered timber use, maintenance and repair: From design stage to post-occupancy: lessons learned in engineered timber construction. Choosing the right material for the job showcases a research-based approach to why certain materials lend themselves to certain types of offsite manufacturing, including steel, timber, concrete and brick. Timber-based materials are expected to appear across the event’s exhibition, materials galleries, and evening reception. We are looking forward to seeing you at Materials for Architecture 2018! 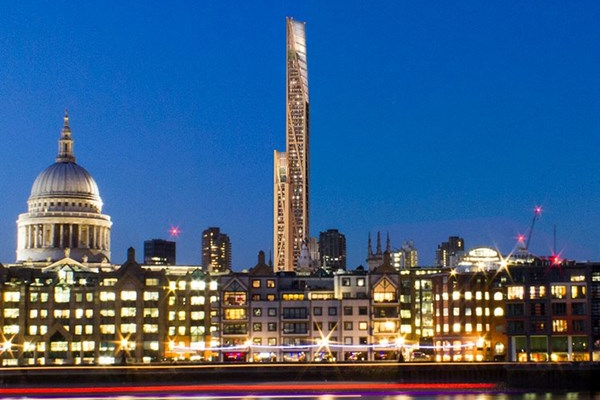 The proposal by PLP Architecture, with University of Cambridge Centre for Natural Material Innovation, and Smith and Wallwork engineers, for an 80-storey. 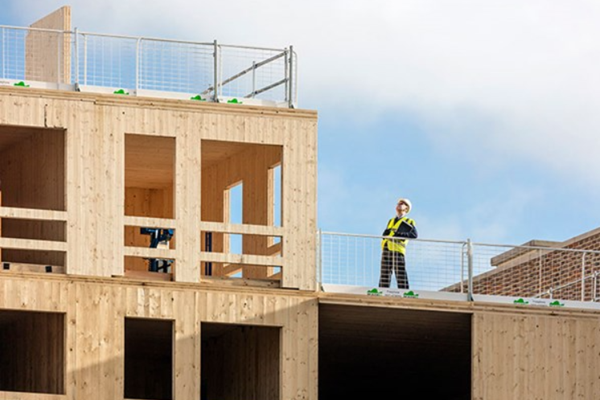 300 metre mass timber and CLT tower at London’s Barbican is hugely provocative for the construction industry. Underpinned by research, this project is looking to establish the technical feasibility of such a scheme, given that it challenges the assumptions of traditional tower construction globally. Partner at PLP Kevin Flanagan will describe the design thinking behind the project as well as its second iteration in the Netherlands, with innovative developer Provast NL, and the international response. Dr Michael Ramage, who leads the Centre for Natural Material Innovation at the University of Cambridge, will show how the research demonstrates the viability of timber buildings at much greater heights than has previously been possible. 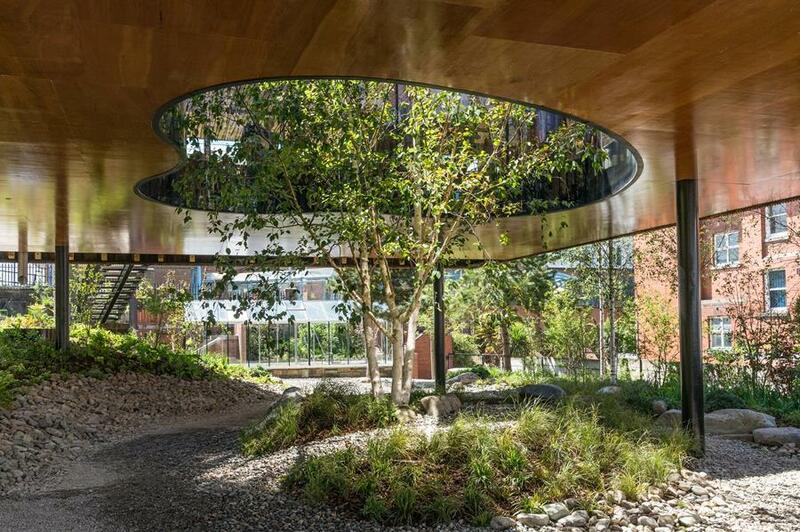 Maggie’s Oldham floats above a garden, with a tree growing through the middle; bringing both nature and light inside. Designed by dRMM, winners of the 2017 Stirling Prize, the cancer care centre is the world’s first building made from hardwood cross-laminated timber. 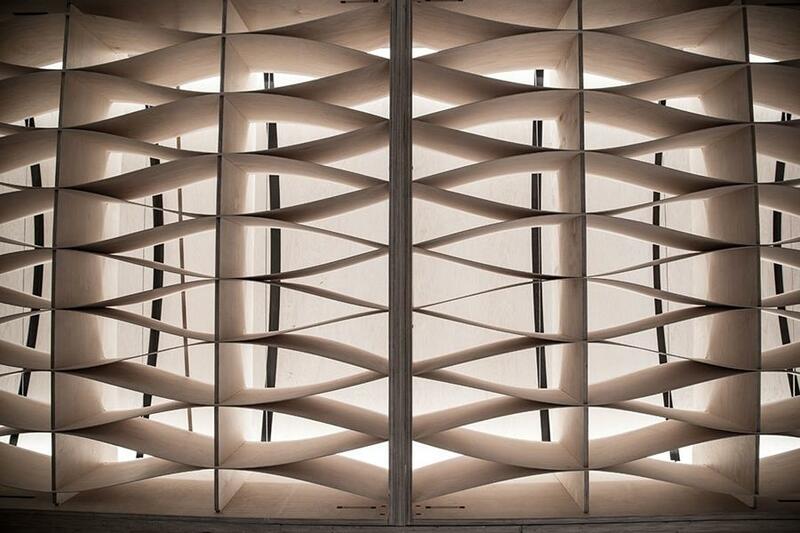 The beautiful material was invented by dRMM, ARUP and AHEC in 2013. It is harvested from sustainable trees, light in weight, structurally strong, and like all timber, it is proven to accelerate the healing process of the body and mind. The centre demonstrates a meaningful step towards modern architecture that cares for people and the environment. This CPD will provide delegates with key learnings from engineered timber use across different types of projects, sectors and design approaches. Andrew Mather, principal structural engineer at Ramboll, Dave Lomax, senior associate at Waugh Thistleton, and Patrick Usborne, associate at dRMM, will share their extensive knowledge from a range of award winning engineered timber projects, from design stage to post-occupancy including aspects of maintenance and repair. The session will take the format of a panel discussion taking open questions from the audience. The discussion will be moderated by Christiane Lellig, campaign director Wood for Good.